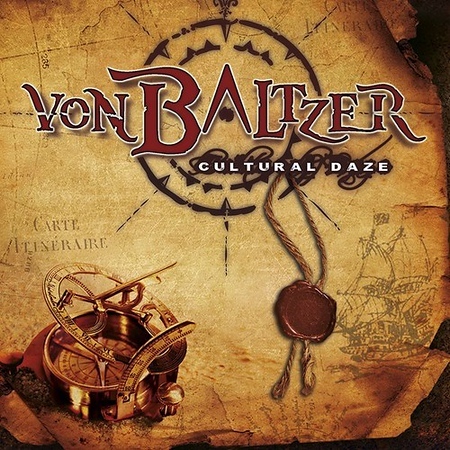 “Cultural Daze” is the debut release from the melodic rock band Von Baltzer, which features English singer Ian Parry. The album was released on 29th June by AOR Heaven. Other than Parry, those involved with the album and the band are mainly Swedish, and the album has a definite 80’s / 90’s melodic rock influence. I included the opening track “All Night Long” on the Friday NI Rocks Show on 6th July. The only band member that I’m in any way familiar with is singer Ian Parry who has fronted bands such as Hammerhead, Vengeance, Elegy and The Consortium Project. The last album I recall him being part of was “Society of Friends” by Ian Parry’s Rock Emporium in 2016 - http://www.rockradioni.co.uk/back-stage/music-reviews/2559-ni-rocks-recommends-qsociety-of-friendsq-by-ian-parrys-rock-emporium.html - the track “Shame” from that album was actually included on the NI Rocks A-Z Show recently (10th July). The other members of Von Baltzer are guitarist Christian Kjellström, bass player Erik Palmqvist and drummer Magnus Jacobson; all of whom have worked on many other projects. Per Ramsby guests on the album, playing keyboards.